Big Poppa's Drum Smoker Kit. Big Poppa Smoker Inc.
First of all, this is not a smoker. It is a smoker kit. To build this smoker you are going to need some tools, a little mechanical skill, and a metal 55-gallon unlined food grade drum. The advantage is that this is an inexpensive way to get a drum style smoker without having to reinvent the wheel in the process. This kit includes everything necessary to turn a metal barrel into a very good smoker. The cost of the kit is around $140USD and depending on how lucky you are, you might be able to find a used barrel for as little as $15USD, making this one of the least expensive drum smokers on the market. You just have to do the work. Drum smokers, also known as Ugly Drum Smokers (UDS) became popular as an inexpensive and relatively easy way to make a good smoker with pretty large capacity for cheap. As plans and pictures started circulating around the internet people started making these in their garages on the weekend and selling them to friends, family, and pretty much anyone who drove by. Like the horizontal barrel grills from the oil boom of years ago, you could find these in front yards for sale throughout the south. 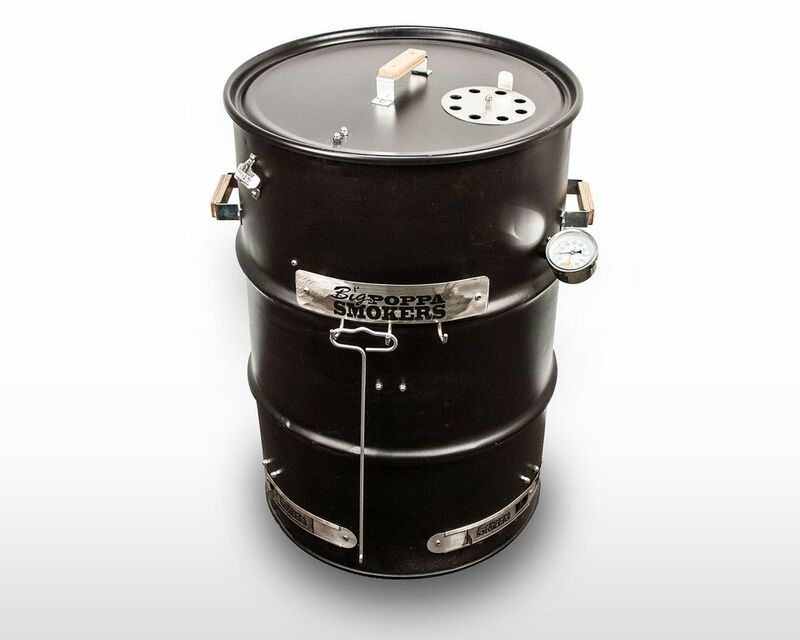 Seeing the opportunity that these smokers presented a number of companies sprang up to sell these smoker and quickly you could be spending $1,000USD for a jumbo, stainless steel version of what was supposed to be a cheap smoker. There are still a lot of these companies around and these style of smokers have been winning barbecue competitions across the country. Big Poppa's Smokers (aka Sterling Ball) introduced this kit as a way to keep these smokers cheap while making the process of building them as painless as possible. Let me be straightforward with you. To build this smoker you will need a power drill and some wrenches and the ability to drill several holes into a large metal drum. The process really shouldn't take more than a few hours. What you need to build this smoker is a 55-gallon metal barrel. This barrel should be unlined (since the lining will burn) and food grade. I would also recommend one that is not painted since barrels are not painted with heat resistant paints. Of course, if it isn't painted then it will need to be painted with a rust resistant high-temperature paint. The smoker that is produced with this kit has good capabilities. The coal basket that holds the fire in this configuration can be adjusted high for more direct grilling and at the bottom of the barrel for smoking. The vents are easy to use and temperature control is accurate with a little practice. The best part is that depending on how much you spend on the drum, it can cost under $200USD. If you are a do it yourself kind of person with a little mechanical skill (or know someone who is), this is a great alternative to the more expensive drum smokers on the market.